Complete Commercial Exterior Renovation Services | CB Recovery Group, Inc. The exterior of your building or facility is the very first thing that your guests, residents, clients, and customers see. This first impression is as important as the service you offer. If your building looks dilapidated or even slightly behind the times, you may find your profits falling due to competitors that offer sleek new looks. Shouldn’t the outside of your building reflect your brand as well as the quality standards that you strive for? 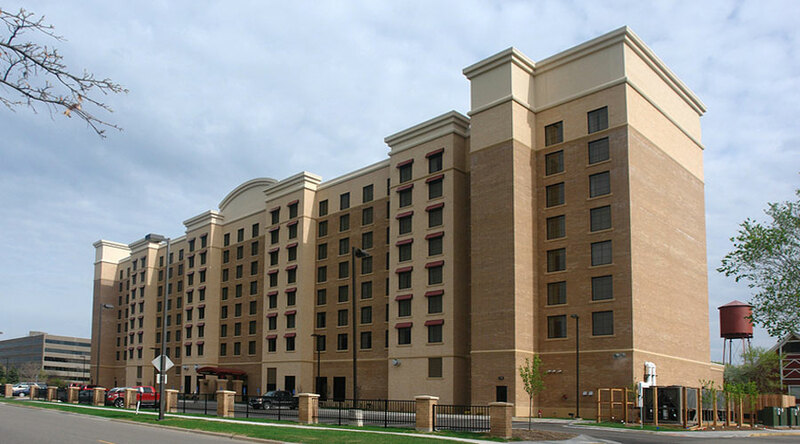 If you are ready to invest in an exterior renovation of your commercial building, hospitality facility, apartment complex, condominium or resort, CB Recovery Group, Inc. can make it happen. Our team of dedicated professionals handles all aspects of exterior renovation including obtaining permits, design and pre-planning, to the complete construction of your new façade. To learn more about how exterior renovation services from CB Recovery Group, Inc. can benefit your business contact us today. CB Recovery Group, Inc. has professionals specializing in all types of exterior work. From siding, trim, replacement windows, garages, decks, patios and painting, CBRG is sure to accommodate all of your exterior needs. Our team is dedicated to providing your business with an exterior renovation that will sure to impress you and your guests, residents, and customers. Why Should You Choose CB Recovery Group, Inc. for your Exterior Renovation Project? CB Recovery Group, Inc. (CBRG) is a full service general contractor company specializing in the restoration and renovation of commercial and hospitality properties. Founded in 2014, CBRG has done many projects all over the United States. Recently, CBRG expanded into renovation work and has over 20 years of professional experience. Contact us today for more information about our exterior renovation services.